Appirits has announced the launch of Shikihime Garden’s English version on March 10, 2014 at 8pm Pacific (March 11, 2014 at 10:00am GMT+7). 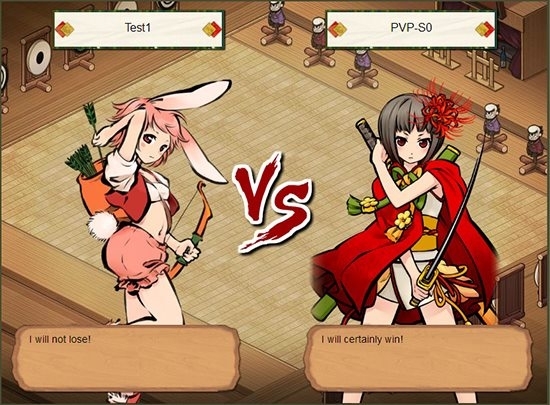 Shikihime Garden is a game of turn-based card combat adjusted with simplicity and pleasant simulation gameplay, with typical exploration and quests of online games. Collect rare Shikihime cards, decorate garden, subjugate monsters, team up with friends are some of the most notable features of the game. Shikihime Garden’s gameplay may be split into 2 modes as below. In card mode, players are able to build decks using a variety of Shikihime cards and monster cards to defeat fierce enemies to obtain valuable items as well as to extend the world map. Each battle takes place with a pre-selected card deck and is controlled by the game system automatically. That means players’ cards will act by themselves to fight enemies or heal teammates according to their attributes and special abilities. But players still can swap cards during combat to save low-HP cards or change tactics flexibly. Besides, each card has its own popular RPG stats like Strength, Defense, Agility and special skills that will be gained through battles for card combination. 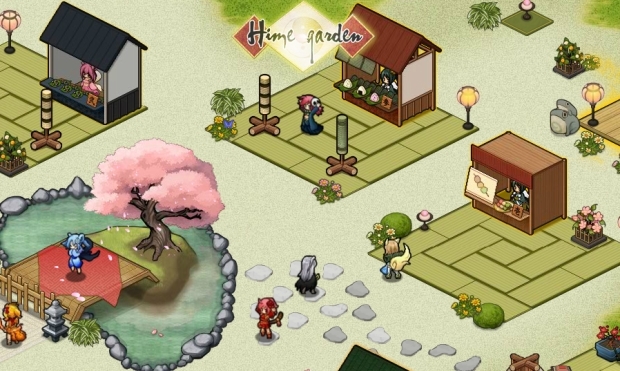 In simulation mode, Shikihime Garden looks like a variant of gardening game which is popular on social networks like Farmville on Facebook platform. Players can decorate their garden with various objects to make it a comfortable place for Shikihime to rest, relax and train for upcoming battles. Depending on certain conditions, Shikihime can have different activities in the garden like walking, talking (via emoticons), eating rice balls, having medicine or practicing battle skills. Some decorations are not just for decoration purposes but they can even boost stats of players’ cards when confronting enemies. As players join the game this week, they are encouraged to start their adventure in the world of Shikihime by getting free Newbie kits, including some helpful items for their first log-in during the event “First Log-in, First Gifts”. Players who registered accounts before the release date will also receive Starter Kits as in the publisher’s earlier announcement. Content: All players who register and log in Shikihime Garden for the first time during the above mentioned time will enjoy Newbie kits, including the following items: [300 Power, Brush of Life x1, Orihime Card x1]. Moreover, for those players who registered for game accounts before the release date, they will event receive Starter kits as in the publisher’s earlier announcement. Content: Any player who tries Shikihime Garden, loves it and decides to support it by making their very first charging to Power pockets will be given [1 Silver Summon Ticket]. Details of summon types can be found on the game’s website http://skgen.aprts-games.com/about/summon. There is no minimum limit imposed on the amount of purchased Power to be qualified for the event. Content: During first weeks, any players who can prevail others to reach highest positions of ranking tables will get valuable rewards as below. The result will be taken at the weekly maintenance time 13:00-16:00 on Tuesday [date] and rewards will be distributed automatically during the maintenance. Content: Besides level up units, players also have to raise Player Level in order to unlock some unique in-game content or features. And to give a little motivation, during the event period, by getting Player Level higher, players will be rewarded as below. With beautiful hand-drawn Chibi characters (Shikihime) and numerous cards inspired from Japanese folk tales and its hybrid gameplay, the game aims at bringing a totally new joyful experience of card & simulation game to Western players. Shikihime Garden is available for Free-to-Play on most popular browsers nowadays at http://skgen.aprts-games.com/lp/.